In the past few months we’ve had thousands of conversations with customers, and we just launched over 20 video case studies as a result. During this process we discovered the 5 key reasons that personal videos have such a powerful impact for those businesses who use them. In this article we wanted to share all of our learnings with you, so you can reap the value of personal video in your own business. As you develop your own strategy, keep these 5 themes in mind along the way, and you'll be on a one-way ticket to customer-delight town. So, what's the deal with personal video, and why should you use it? If you're stuck wondering what all the fuss is about when it comes to video in email, don't worry. These 5 simple words will guide you on why personal video matters to your business. We’ve also included a Hot Tip for each theme that you should try implementing in your workflow. Automated emails just do not get replies. It’s been said a thousand times before, but people are switched off to automated onboarding emails. When you’ve spent all of that time and effort getting them in the door, and they’ve spent time and money coming through the door, why rely on an automation to run your relationship? Don’t worry, Bonjoro is not suggesting you completely replace your existing customer onboarding with personal videos. They should be an addition. Sending a personal welcome video alongside your existing onboarding emails is about showing each and every customer that you care and value them. It’s a way of saying thank you for believing in you and your product, and kick-starting a relationship that will bring value to both parties. As any good business owner knows, the velocity of your conversations with customers always defines the success of your business - it breeds more opportunities, more conversions, and ultimately more profit. This is just plain fact. You should always be speaking to your customers no matter how big your business, or what scale you operate at. From Day 1, as soon as they come in the door is the perfect time to do this - it sets expectations for how you will respect and treat them as a customer. If you listen to B2B influencers like Chris Ducker, you will learn a lot here - Chris calls this Person to Person (P2P) marketing, and he prizes it as the most important thing you should do to be successful. Our customers rave constantly that Bonjoro is the best thing they have found to kickstart these conversations with customers. 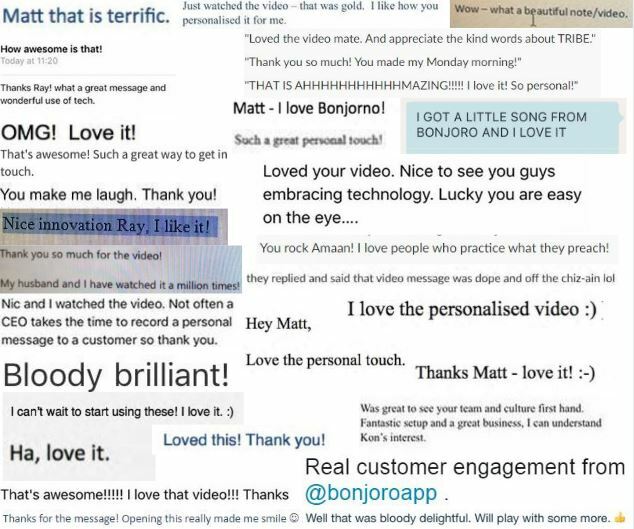 Everyone who has used Bonjoro in any persistent and systematic way will have seen its power in this respect - our clients are constantly telling us how many excited and positive responses they are getting from their customers, and here at Bonjoro we get hundreds of these delighted replies every month. Hot Tip #1: Track your delighted replies and share them with your entire team. Here at Bonjoro we have a dedicated Slack channel for sharing thanks and love from customers - if you don’t have one, set one up now! People sometimes confuse activation with conversion. Activation can be a conversion, but very often it is something different. It is a milestone unique to your company or product that you are working your customers towards; a clear point at which you are confident that your customer understands your product or service implicitly, and is actively using your service in a meaningful way. Here at Bonjoro this is a number. Much like Facebook knew early on that a user adding 7 friends meant that they would stick around and bring more users to the platform, we know that if someone reaches 15 Bonjoros sent during their trial they are 99% likely to get value from the product and tell others about it. This is what SaaS companies like ours call the “Aha! moment”. We use Bonjoro as a way of driving customers towards that "Aha! moment", so when we send video emails to new customers, we aren’t just saying "hello", we are driving action - we look at their usage data and drive them towards other actions that will help them reach that moment. This might be connecting their email client, or setting up an automation between their marketing tool and Bonjoro to pull customers into their Bonjoro To-Do list. And here’s a little inside secret - we know that a customer with an active automation is 6x more likely to convert to a paying customer than a user who does not have an active automation. That is HUGE. Bonjoro is critical in our own activation strategy, and we have heard across multiple client case studies that it is central for our customers too. Hot Tip #2: Figure out how personal video fits with your customer onboarding and activation strategy, and use it to drive customers to that point. This could be a friendly nudge during your trial process with a clear and compelling CTA to help them reach that point, or it could be an ask, asking them exactly what they need from your product to experience value (aka: that "aha! moment" of true activation), then working with them to reach that point. Put yourselves in the shoes of a new customer or signup. They might be floating around, window shopping your product, and wondering if there’s any value in it for them personally. This is a very difficult decision to make - even the best websites can lack the specific bit of information that will encourage the prospect to take that leap and buy. Every customer is different, and every customer has competing companies and opportunities vying for their time and money. Now imagine, one of these companies sends you an automated email. Sure it might be a clever "drip", based on data that company knows about you. But it’s still impersonal. Now imagine that one of these companies takes the time to understand your business, and sends you a personal video email alongside those other communications, to tell you they are here for you, and will take the time to help you get value from your purchase. Who would you spend your time and energy with? More importantly who would you buy from? We’ve had hundreds of customers tell us that the conversations they are having via Bonjoro not only lead to more and happier customers, but lead to a massive increase in repeat business. So when you think about converting a customer, don’t just think of it as a one-time thing. 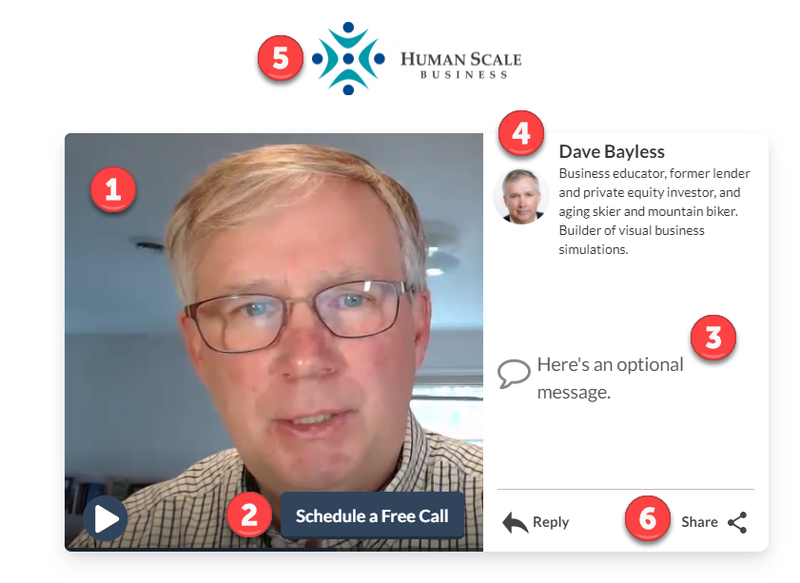 A simple personal video gives you the absolute best way of taking that customer relationship from 1-1000 instantly, and you will get value from that time and time again. The lifetime value of a customer you have taken the time for, will far exceed the LTV of customers you keep at arm’s length. There’s nothing magical about this. It’s the unwavering truth that people buy from people. The world is just massively competitive, so you need to make every person feel valued, and they will reward you back. In fact, I’ve heard from so many customers who have experienced an enormous boost to their businesses when they started moving away from a brand first mindset, and started putting themselves at the front of their business. Hot Tip #3: Put yourself at the front of your business. People want to know who you are from Day 1. Check out this case study - Creighton thought he was a shrinking violet, but after using Bonjoro for just a few weeks, he realised that people just LOVED seeing him and hearing his voice. He’s even had customers approaching him at events from across the room to say thank you for his videos. We all want to keep our customers. But sometimes we’re also guilty of forgetting about them, once they’re in the door and enjoying our product. Sometimes the best customers can get the least love, because they’re getting value and are almost on “cruise control”. This is a dangerous attitude to adopt. Our founder and Papa Bear Matt wrote an amazing article last year about loyalty to our suppliers. And what he found was that almost 80% had almost never checked in with him, or even taken the time to thank him for his continued business. The long and short is that if another competitor came along, that showed more care and attention, he would leave without really a second thought, no matter how good the product was. In speaking to our customers we realised that a key component of Bonjoros' value for their business was simply in relationship building. Many have automations set up for key milestones, whether this is time-based, like 3 months with the business, or even a personal milestone like a birthday. Whatever the case, they use Bonjoro to show customers they are always front of mind, and that they continue to care for that customer. The net results: increased retention and lower churn, and of course heaps of advocacy which we will speak about next. 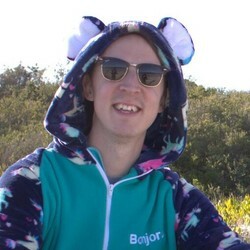 Matt Ragland from ConvertKit, wrote a great study on how Bonjoro reduced their churn by 17% by sending video emails to personally onboard new ConvertKit subscribers. Check it out if you have time. Moral of the story. Show your customers you care, no matter where they are at their journey with you. It will always pay off. Hot Tip #4: Don’t stop at personalised customer onboarding videos. Bonjoro can easily integrate with your existing marketing tools to help you send personal videos at other key moments in your customers’ lifecycle. Find out how to set these up here, or reach out to our team if you want them to help you set this up. The sky's the limit. Some insider info for you: almost 60% of Bonjoro’s entire growth is via advocacy. Customers rave about us, and we don’t pay a dime for it. This isn’t just because we have a cool product, it’s because we speak to every single customer on a personal level. In just over 18 months we have sent 13,000 Bonjoros, and we will NEVER stop doing this, no matter how big we get, every customer deserves our attention. The simple reason is that we care, and the beauty of this approach is that you just never know where your next major advocate is going to come from. Just last month I appeared on a podcast with a customer who runs a community for practitioners of Alternative Chinese Medicine - he wanted to tell his audience all about Bonjoro, because he believed in the product and valued the time we had spent on him personally. If we hadn’t sent Spence that first Bonjoro, and subsequent video emails, he just wouldn’t have reached that point of advocacy. Getting advocates is the absolute last thing you should entrust to automation. If you want true advocates it will take time, and effort, and genuine buckets of goodwill. Your starting point should be: “every single one of my customers could be the next big advocate for my business”. If you believe this, and truly take the time, tens if not hundreds of advocates will present themselves to you in return for your attitude. Hot Tip #5: Tag your advocates in your CRM and truly pay attention to them. This isn’t just affiliates or partners. This is anyone who has shown a clear affection for your business. Care for them and they will light fires for you from Day 1 to 1000. Take time for everyone, track these interactions, and then keep adding value for those people by continually inviting them closer to your business - maybe invite them to do a case study, ask them for feedback, whatever you are working on let them feel like they are on the inside, and they will repay you in spades. So there you have it, 5 small words, but unimaginable implications for the growth of your business.